The Communist Chinese Government is now facing an additional $200 billion in tariffs at the hands of the Trump Administration, with the White House fighting back hard against the unfair practices of red China during this Presidency. The move comes after a much anticipated economic stimulus for America as a result of the wide-criticized initial tariffs against the Chinese by President Trump, again proving the Democratic Party’s elites wrong on trade, and a roaring sense of applause from Trump supporters and blue-collar Americans who have had enough of China's currency manipulation and copyright violations over the last several decades. President Donald Trump is a stern warrior when it comes to trade, fighting hard to defend the prosperity of the United States of America on a world stage, and unafraid of pushing the line when it comes to a tough tone on China. The United States of America is currently roaring on the economic battlefield, with a jobs market boom and unemployment numbers at record lows, as well as a GDP nearly seven times higher than the entirety of the G7 combined. The newest $200 billion in tariffs comes before the President's visit to the United Kingdom, in which he's sending a strong message to the entirety of Europe that America will never back down when it comes to figure trade agreements, as well as strengthening the resolve for the President's demand that Europe pay their fair share of NATO costs and stop ripping off the American taxpayers. Two other rounds of tariffs have been placed on China, with the Communist Chinese leadership groaning at threats of retaliation but to date haven't made made a move from Beijing worth recognizing outside of rhetoric. 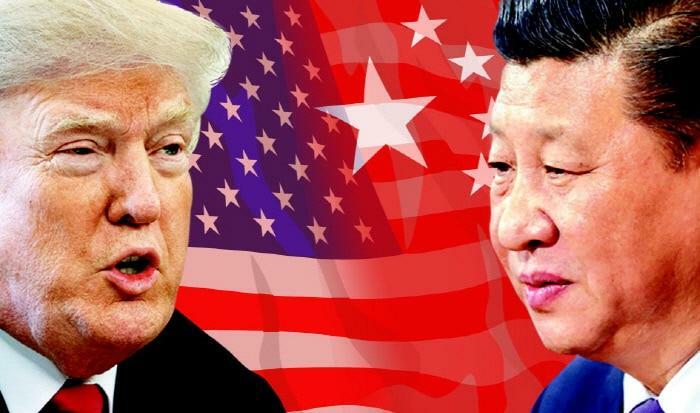 Currently, there are no scheduled negotiations between the United States and China, but senior officials in the White House have reportedly stated that the US is more than willing to sit down with their Chinese counterparts and come to a fair conclusion for each of the economic giants. “We are trying to get China to alleviate its unfair practices,” the official said. Treasury Secretary Steven Mnuchin and Chinese economic envoy Liu He have previously met without a resolution, but the Author of <i>”The Art Of The Deal”</i> is fully aware that he can continue to press the limits of the Chinese until progress is made towards a resolution. With the new tariffs, there will be at least two months before we see a conclusive list of precisely which Chinese goods will be affected, no doubt keeping China on its toes in the meantime to attempt to come to the bargaining table. Just last week, the US imposed $34 billion of levies on Communist Chinese electronics and machinery, and another $16 billion on electronic components are also scheduled. The hearing to determine which goods will be affected is currently scheduled on August 22nd and 23rd, raising the stakes further in what some are trying to paint as a “trade war,” when in reality it is a balancing act that's been needed for decades but no Administration prior had the courage to carry such a move out. President Trump has initially threatened 25% tariffs on $100 billion worth of goods, but the shift to 10% on $200 billion worth of Chinese goods gives the Administration more leverage to balance itself against any impending challenges China may float towards the United States of America. One could also suggest that China is increasingly interfering in US efforts at peace with North Korea, in what seems like meddling to send a message outside of the economic prowess of the Pacific titan. Regardless, President Trump is winning at home and abroad, and will ensure that he cuts no corners in putting America first.